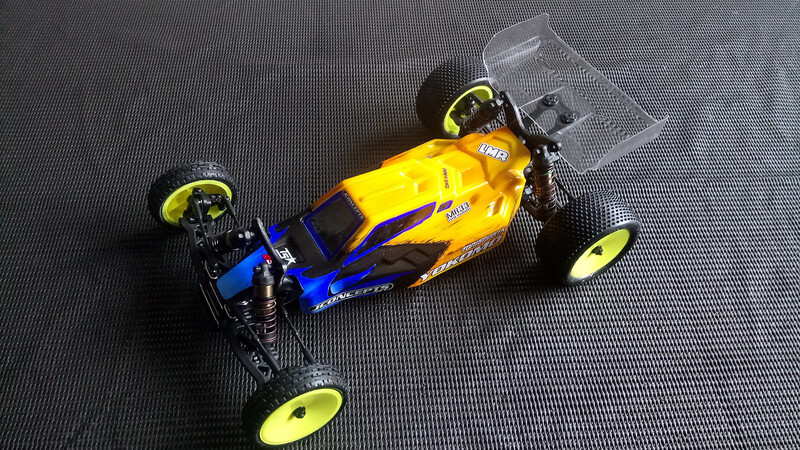 Yokomo YZ-2 CA: Still the ultimate set-up for high traction? There I was again, looking at a wide range of interesting options. When I decided to take a smallish break from RC, the industry did not comply and continued to develop their various platforms. Although I have tried kits from various manufacturers throughout the years and liked quite a lot of them, I always seem to come back to one manufacturer, Team Yokomo. And although I may try to give you an objective overview of what to expect from their latest carpet and astro 2WD, be warned that I am biased. I fell in love with the brand when I first saw and heard a Works '91 on the track, and only much later, the B-Max2 only reinforced my positive feelings about Yokomo's products. Design, function, durability, fit and finish, cost effectiveness, you name it. I have yet to discover another manufacturer to offer all these in just one package. Also, there is Germany's distributor of Team Yokomo and other premier hobby brands. Despite the distance, Tonisport has been something like a local hobby shop to me and more. It is more than just excellent service and customer support: if you ever had the chance to meet the Rheinard family and Toni's fantastic team of employees, friends and helpers, you will know what I mean. Here is a big shout-out to Bruno, Tobi, Daniel, Steven, Uli and everyone else! I am always looking forward to another trip to Andernach, Arena33, and of course to the Tonisport warehouse when it comes to picking up a new kit and some accessories. But let us get on with the review of the YZ-2 CA. Some of you may wonder why I did not buy Yokomo's latest kit, the YZ-2 DTM named for Arizona-based driver Ryan Maifield, one of the hot tickets for this year's IFMAR world championship in China. As Ryan Maifield is a driver from the US, the DTM was tailored to offer the ultimate package for North American high-bite clay tracks. This requires a different approach than carpet and Astroturf racing, i.e. a ball differential and a more forgiving front end. While I am convinced the DTM still is a good deal due to a multitude of updated parts like the beautiful JConcepts S2 body, gearbox brace, front and rear hub carriers, ball cups, and a set of machined pistons, and would be an ideal Astroturf rain car, the CA still offers more to the average carpet racer: wide rear suspension parts, gear differential, and a lot of quality aluminium parts in the front end. At first, I had actually come to terms with buying the DTM because the CA did not appear to be in stock with my favourite hobby shop and I wanted another YZ-2 so badly (that is how good it is!). After having exchanged a couple of E-mails with Tobias Baumbach and Toni Rheinard of Tonisport, they assured me that the cheaper CA was the kit to buy for my needs, and soon afterwards, the CA was on its way to me and I was itching to unwrap the box. The YZ-2 currently comes in three flavours, dirt (DT, stand-up transmission/ball diff), high-bite clay (DTM, laydown transmission/ball diff) and of course Carpet/Astroturf (CA), which is covered in this review. 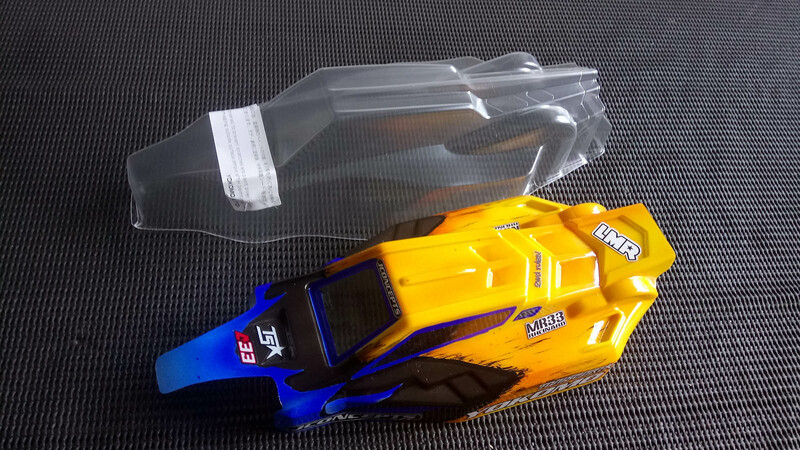 When I bought the original YZ-2 about two years ago and wrote a German-language article for rc-news.de, I praised the comprehensive package Yokomo put in the box. Everything I liked about the laydown transmission pioneer is still there, and in some cases has been improved. 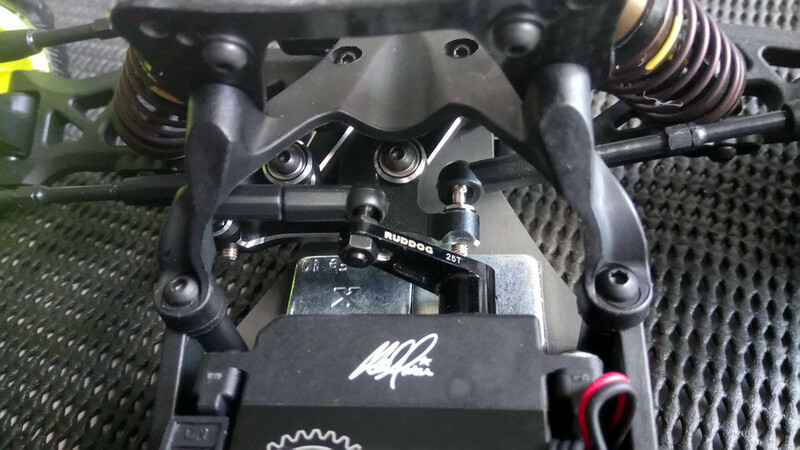 While the carbon fibre shock towers and battery strap, aluminium lower arm carriers front and rear, front aluminium ball stud mounts seem to be unchanged, the latest aluminium steering bellcranks use larger ball bearings. The most obvious change vs the original YZ-2 must be the 3-gear transmission, which makes the car easier to drive and brake, and even faster through the corners. Although the body looks the same, Yokomo now includes the lightweight version to lower the car's centre of gravity even further. Chassis and side guards are the same as with the DT version, which uses a stand-up gearbox, i.e. has the motor and battery located closer to the rear axle and moves up the centre of gravity to increase side roll. With both cars sharing the same chassis and side guards, switching between gearboxes for different track conditions has become easier than ever before, although it may not be necessary at all: when I sat down and built my kit, Lee Martin was TQing and winning the 2017 European Championship with a laydown YZ-2 on a slippery dirt track! Another big plus in my book is the addition of Yatabe Arena springs, yellow fronts and green rears. These springs have performed flawlessly for me in the past and have been many people's go-to carpet and Astroturf springs since they hit the market. Last but not least, wider rear arms (S4) are now included in the kit, which share the geometry with the B-Max4III's rear arms and were originally used in the YZ-4 4WD buggy. As I had used the B-Max4III arms on my previous YZ-2, I am quite happy to see Yokomo update their kit instead of trusting their customers to spend more money right from the get go. Of course, there are still shorter and longer options available to adjust the car to your specific needs. Speaking of options, Yokomo offers almost everything you could be looking for. From even more aluminium, to gull wing front suspension parts, sway bar kits, springs, differentials, you name it. Designer Shin Adachi is always looking for a way to push the limits of the Yokomo buggies, and being the excellent brand ambassador and helpful chap that he is, is ready to support any racer who asks for his advice, be it on facebook or in the pits. Loaded with aluminium from the box - and some optional sticky weights! You probably know that the YZ-2 CA has been around for a while, quite a few YZ-2 built reports have been published, and accordingly there are no step-by-step pictures from me this time. As anyone familiar with the Yokes would expect, assembling the kit was a breeze, even better than my previous YZ-2. Fit and finish are a dream, but as always I could not resist and changed several things right from the start. Compared to many other companies out there, the aftermarket for Yokomo cars is pretty small. Still, tinkering with option parts and individualising your toy car is part of the hobby, and not even your humble author can go without some option parts from time to time - some of you may remember my obsession with black aluminium on the traditionally blue AE cars and trucks. Although I still like the kit body's sleek design, I always loved JConcepts' latest bodies for the Yokomo cars and could not resist to paint one of their F(innisher)2 shells before I even knew when I would have the opportunity to go racing again. My go-to items on any car that does not accept a Triad/Nova slipper clutch are the machined and silky smooth JConcepts' Silent Speed spur gears. On the reviewed car, I added some McKune Design FR4 slipper pads, which I had bought before for another car, but never tested myself. 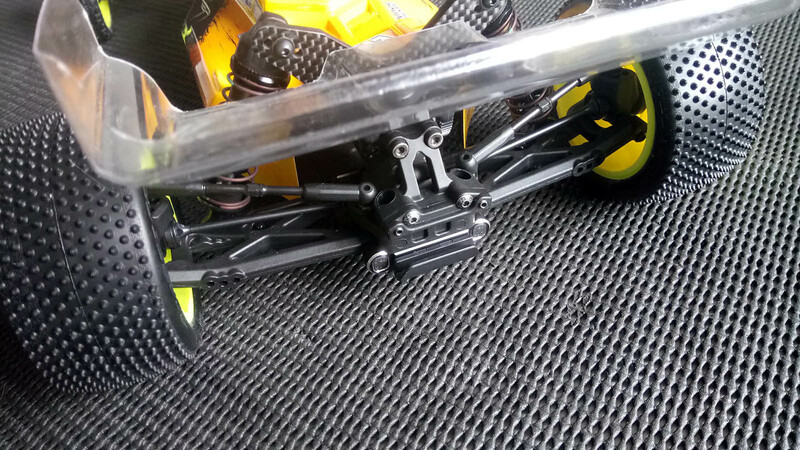 To complement the JConcepts theme of the spur gear, F2 body and Aero wing package, I mounted some Swaggers and Pin Downs to the yellow kit wheels, installed the DTM gearbox brace and filled in other shock and diff fluids based on previous experience. With a full set of Yatabe Arena springs, some other oils and tools in my hauler bag I headed off to Arena33, where tyres, Yokomo spares and fun aplenty are always to be had! When I arrived at Arena33, Toni Rheinard and Tobias Baumbach were putting the finishing touches to the new outdoor track, which gave me the opportunity to do a track walk. Although the huge jump in front of the rostrum will be the first feature for every driver to notice, two other sections made me frown initially, one being the sinkhole to the right, the other being the double jump to the far left, as I was not sure whether my 13.5 turn motor would pack enough punch or not. From the worms-eye view, the jumps did not seem to be parallel to the ground. To make a long story short: My doubts were totally unfounded! Not only did the Muchmore Fleta V2 do an excellent job at 20° timing (which is supposed to be the fixed endbell timing of the ETS/EOS motor version to be released later this year) and allowed me to clear the large double with ease, also the sinkhole was not too much of a problem after a few laps of practice. With a set-up based on Sylvain Gallo-Selva's Meyrargues set-up sheet, the YZ-2 CA was quick and easy to drive on the outdoor track and gave me the confidence I needed in the tricky sections of the track. The suspension soaked up the bumps on the straightaway and allowed me to keep the car under control after the jumps. Everybody around seemed to be impressed by how fast a 13.5 powered 2WD buggy can be around such a flowing track, and so was I. In my opinion, the Intellect shorty battery also did an excellent job and provided me with enough punch throughout my stints on the track. 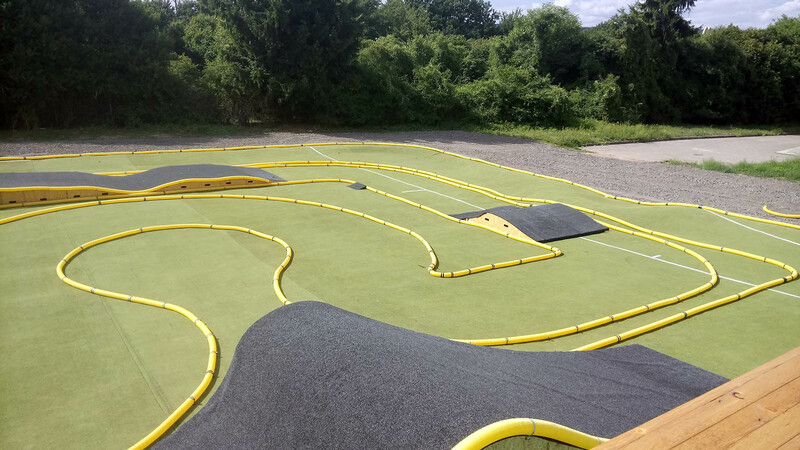 So far, Arena 33 has been primarily known for its carpet tracks, having switched between on-road and off-road every few weeks. Of course, I had to try the CA on carpet as well. After I had lowered the ride height a bit, I ran a few laps on the indoor track and again, the YZ-2 did not disappoint. 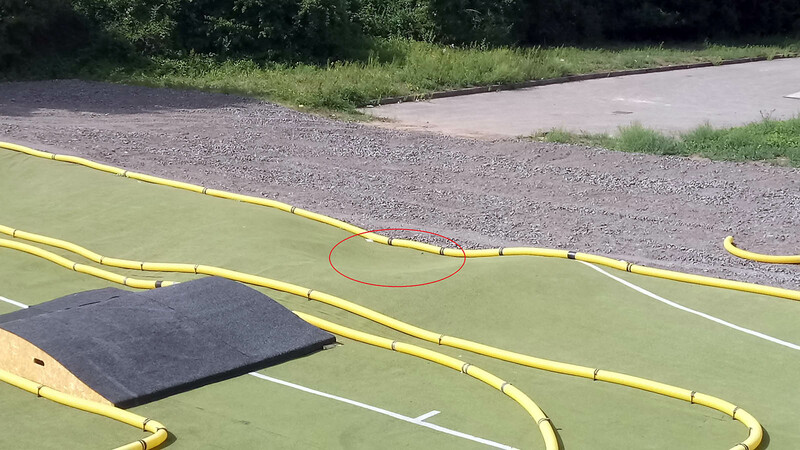 It will not come as a surprise to you that a good Astroturf base set-up is not the best solution for a carpet track. Still, the car gave me all the confidence I needed to tackle the track with the unfamiliar layout from the first second. There have been quite a few crashes in the course of the day, but nothing broke. On two occasions, screws came loose because I had not used enough thread lock, and once a drive shaft popped out after a big tumble because I chose not to use any droop limiters in the rear shocks. 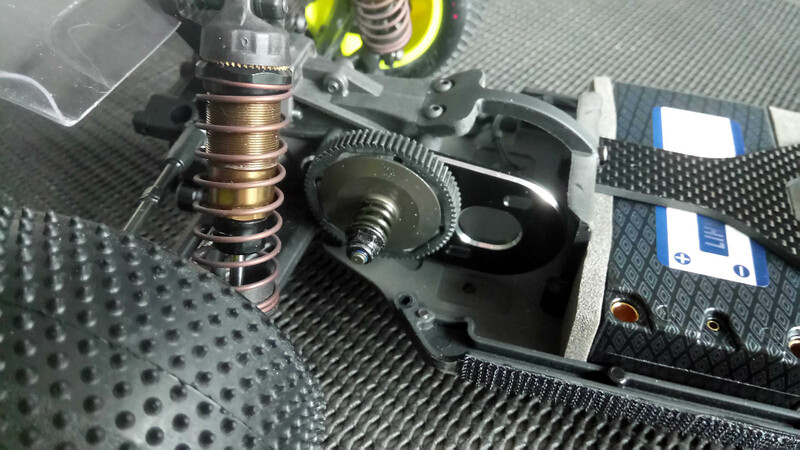 Bottom line: The Yokomo YZ-2 CA did not even flinch in the face of all the abuse it was subjected in the hands of a driver who had not held a transmitter for a couple of months. 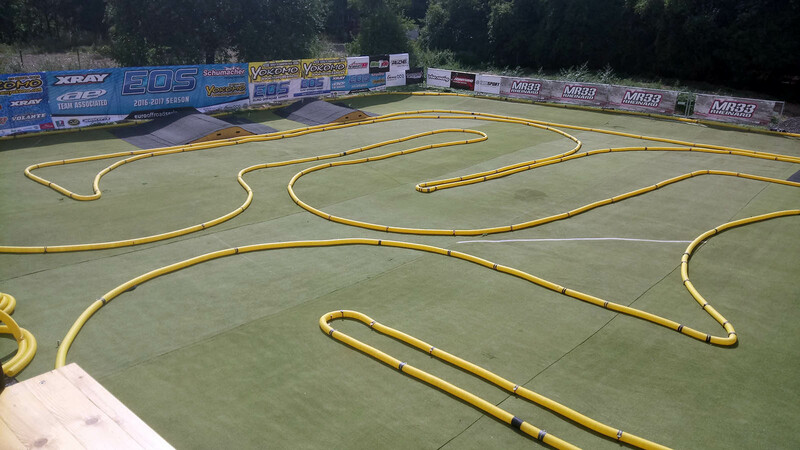 Both the Muchmore Racing motor and Intellect battery performed flawlessly, and the JConcepts tyres provided good traction on the Astroturf at minimum wear. In addition to great looks, the F2 body and Aero wing made the car stable on the ground and in the air. So is the YZ-2 CA really the ultimate set-up for high traction as the slogan on the box claims? After having tried and tested cars of most leading manufacturers in the recent years, I dare say that the CA is the best bang for the buck a carpet racer can currently wish for. 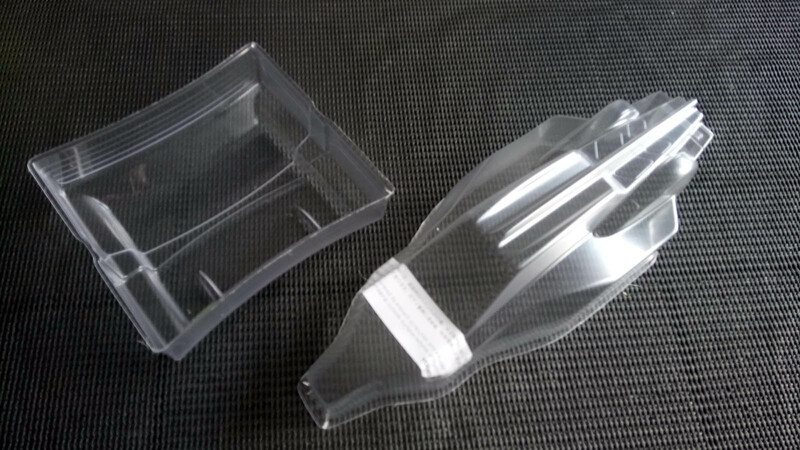 Although there may be cheaper options out there to get you started on high traction surfaces, you will have paid the same or even more once you have replaced some plastic parts or maybe a shock tower with more durable aftermarket items. 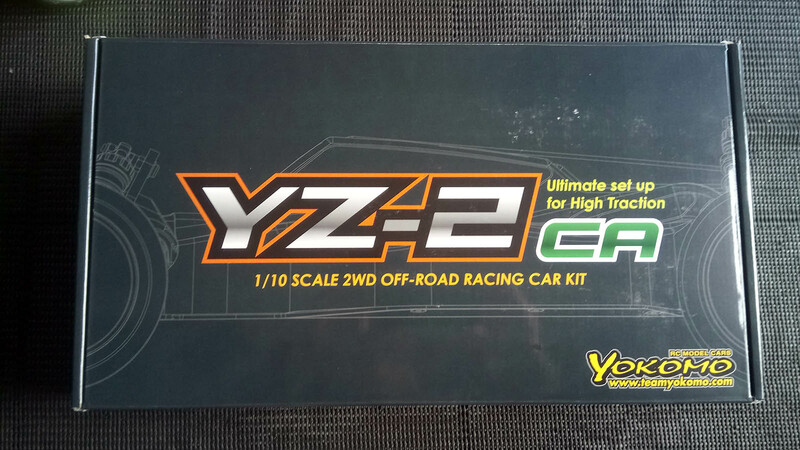 While you will not find the single best set-up for all the high traction tracks on our planet in any kit, the YZ-2 CA can be tailored to a vast variety of surfaces with the parts that are either in the box or readily available. Highly recommended to anyone looking for a carpet and/or Astroturf buggy!